One of my favourite recipes from Jan Braai’s new soft cover edition of his first book Fireworks. The bone and the nice layer of fat make this cut ideally suited to a slow and gentle braai and those same two reasons make this a very tasty cut of meat. While you can braai a lamb loin chop and most steaks in less than 10 minutes, this dish gives you the opportunity to actually spend time around the fire while you are braaing. 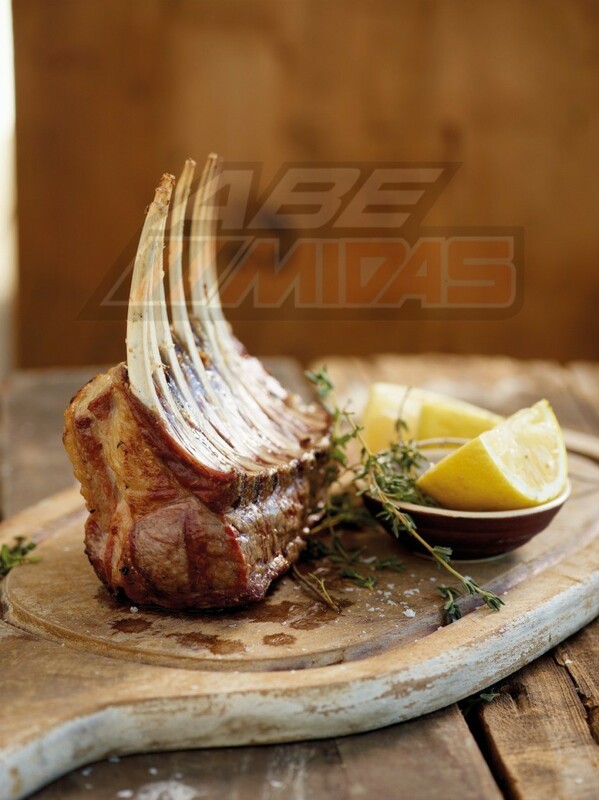 Once it is braaied and while it is resting before you carve it, a rack of lamb also makes an impressive centrepiece on your table. French the rack, which means to clean the tips of each bone. Ask him to French it just slightly, so that he doesn’t cut away half the meat. As shown in the photograph, you want the tip of each bone to be clean so that you are left with an attractive rack with meat that comes off the bone easily. Remove the membrane on the bone side of the rack. Cut a crosshatch pattern into the layer of fat on the outside which makes it easier to braai and makes you look like the type of expert who uses this book. Once back at home, pour a thin layer of olive oil on the meat and sprinkle with the salt, pepper and herb(s) of your choice. Use your recently washed hands to rub these condiments into the meat. It’s up to you whether or not you rest the meat after this before you braai it. The meat should be at room temperature when you start the braai, so take it out of the fridge when you light the fire. A rack of lamb is a pretty impressive, enjoyable piece of meat to braai. It’s somewhere between braaing a lamb chop and a lamb rib, and you should do it over hot coals. Take your time. A small rack can be ready in 20 minutes but a big one can take up to 40 minutes. This range in braai time comes down to wide variations in size and is also a question of how aggressively your rack was Frenched and whether it was at room temperature or straight from the fridge when you started braaing it. For most of the braai time, the rack will face fat-layer side or rib-bone side down, but also braai the rack standing on the flat-bone side at times. The meat is ready when the internal temperature reads 63C in the middle of the thickest part. If you don’t own a meat thermometer, rather remove the meat too early than too late. If any or all of the chops need more braaing when you cut them, you can always return them to the fire as individual chops. Let the meat rest for at least 5 minutes before cutting.